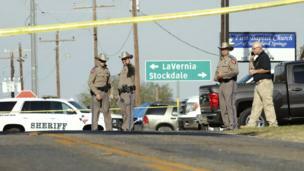 Images from Texas where at least 26 people were killed after a gunman opened fire at a church. 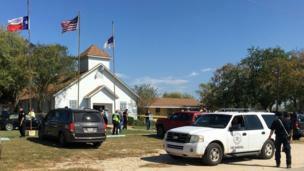 The attack happened at the First Baptist Church in Sutherland Springs, population 400. 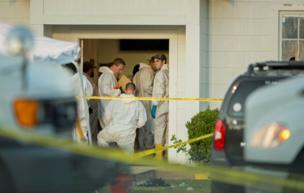 The suspected gunman was found dead in his vehicle some miles away. 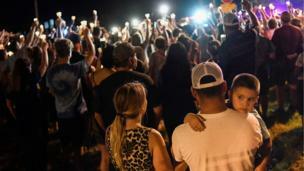 A candlelit vigil was held for the victims. 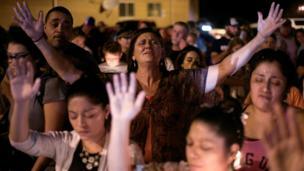 The shooting comes just a month after a gunman in Las Vegas opened fire on an outdoor music festival in the deadliest mass shooting in recent US history.